Prime Dispute is pleased to offer you our monthly e-Industry Newsletter. This edition examines 'Reminder - Exploring the role of emotion in conflict​​'. We will also highlight current news and developments in the world of dispute avoidance and resolution. Trainee Membership | Now Live | Trainee membership is ideal for individuals who have an interest in dispute avoidance and resolution, anywhere in the world. Membership allows access to appropriate benefits to support the future growth and development of all trainees. Prime Dispute will support trainee members in working towards gaining; knowledge, skills and qualifications within the dispute avoidance/resolution industry. 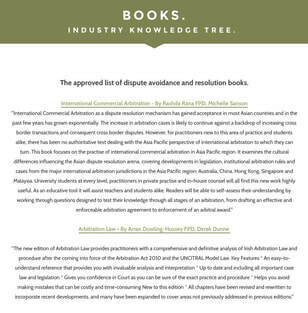 Government & Business | New platform launched this month | ​Now more than ever, the dispute avoidance and resolution profession must maintain a global focus. Prime Dispute works to raise awareness of the dispute avoidance and resolution to the global marketplace whilst establishing and maintaining links with international counterparts. 'Government & Business' will promote the expertise of our members across all regions, sectors and practice areas. Whilst working with our members to directly lobby governments in promoting dispute avoidance and resolution mechanisms as an equal to litigation. Vision 2035 | W/C 6 August - 10 August | All Prime Dispute 'Executives' will be participating in our 'Vision 2035' strategy. This will not have an impact on any of our services. If you have any questions, please email: contact@primedipsute.com The Agenda will cover: (1) Our Vision, Mission and Values (2) Our core 'Pillars' & 'Purposes' (3) Membership (4)Developing our Future Generations (5) Empowering Industry (6) Standards) (7) Thriving Economy & Conflicts (8) Landscaping the support for SME's (9) Support for Equality & Diversity (10) An Equal to Litigation (11) Educational Systems (12) Industry Sector Support (13) Government Connections and Alliances (14) Women In Industry (15) Third Party Funding (16) Sponsorship/Corporate Membership (17) Authority and Services (18) e-Industry Development/Insights.